1. SWBAT learn about the artist Wassily Kandinsky. 2. 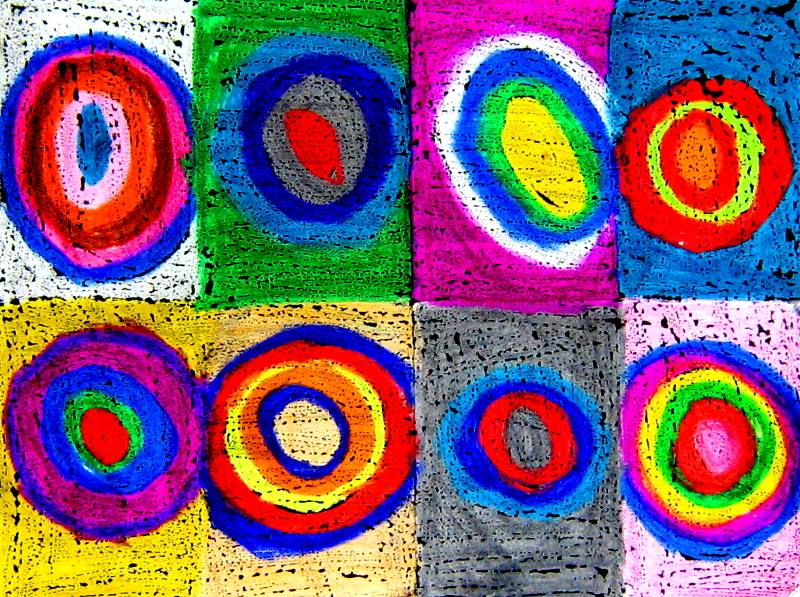 SWBAT create artwork based off Kandinsky's Squares with Concentric Circles. 3. SWBAT use the colors of their clothes as a color palette. 4. SWBAT use watercolor resist techniques. 1. Students will be introduced to Wassily Kandinsky, learning about his life and works of art. 2. Next fold a sheet of paper in half 3 times, creating 8 sections. 3. 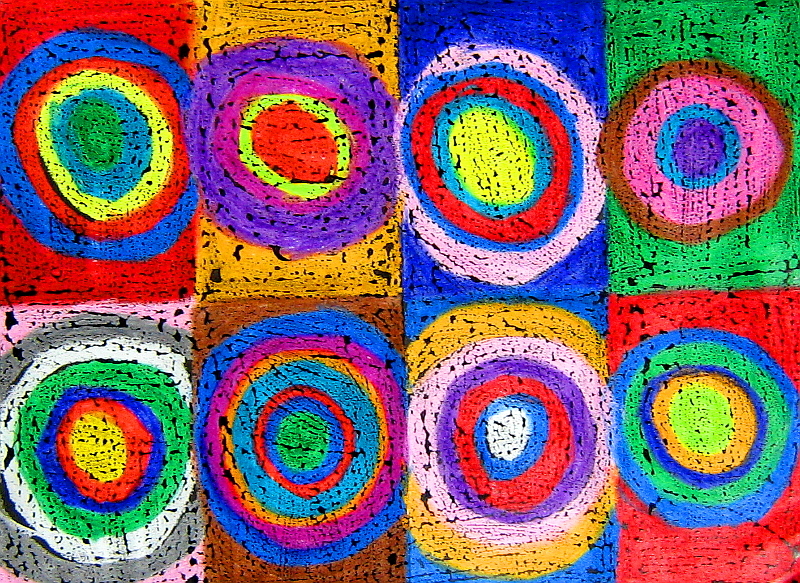 Once a day in a section draw circles using only the colors in your clothes with crayons. Make sure to press hard while doing so. After that is done go over the section with watercolor. Dark colors works best. After the 8 days are over with students will be amazed at some of the colors they tend to wear the most.